If you haven't already experienced Capt. 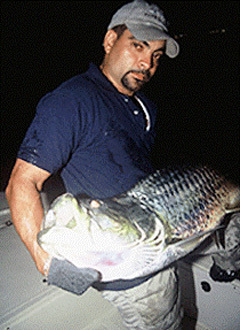 Alex Rodriguez, Miami Biscayne Bay fishing guide charters you don't know what you're missing. From catching the BIG one... To all the in depth knowledge he will provide you with. He has many years of experience and is confident and secure he'll put you on the fight of your life. 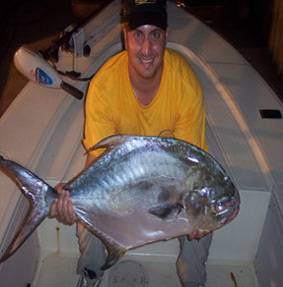 For him it's not just the fishing charters, it's the story of his life. Way back since his childhood, he dreamt of being a Captain. And now he wants to pass his legacy and knowledge on to you! Capt. 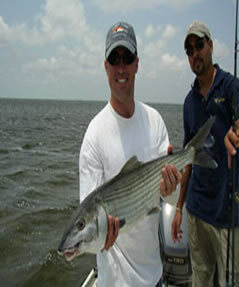 Alex is a great fishing guide because he strongly believes in following his own catch and release program. It's actually the fight that produces his adrenaline rush, not the actual catch. When you decide you want to feel that adrenaline rush. 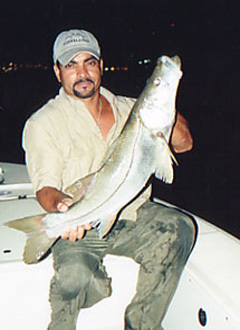 Go ahead and call Alex Miami snook fishing charters. Other than the fish, you. 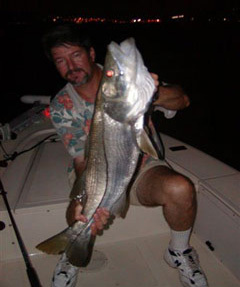 Will be hooked on his techniques and outstanding fishing knowledge whether you are fishing for Snook, Tarpon, Trout, Bonefish, etc... You wont come home empty handed on any of these charters, Some people just take fishing guide Capt. 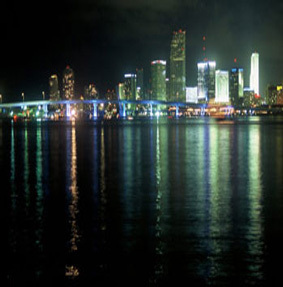 Alex out for the fishing charters since he knows so much about Miami, Biscayne Bay, Government Cut and Miami River. Some customers just want to go out and take pictures of the fish he catches and the scenery involved it's breath taking after all. A guide should always be able to guide you, his boat is his domain. You choose the path to get to Alex, He will guide you to the fish. 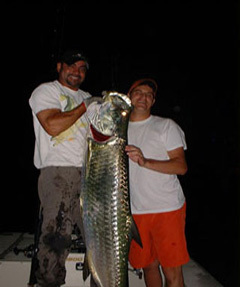 And After Catching your biggest tarpon you should get home to celebrate... Throw a party in the name of that monster snook.